165km/14.5hours. Left early again, wasn't sure how long it would take to get over the big climbs in the Baviaanskloof with the singlespeed. It took long, had to walk them, no power to pedal over. Kloof was cold, dark and eerie and wet feet from river crossings made it worse. After sunrise things warmed up and body started waking up. 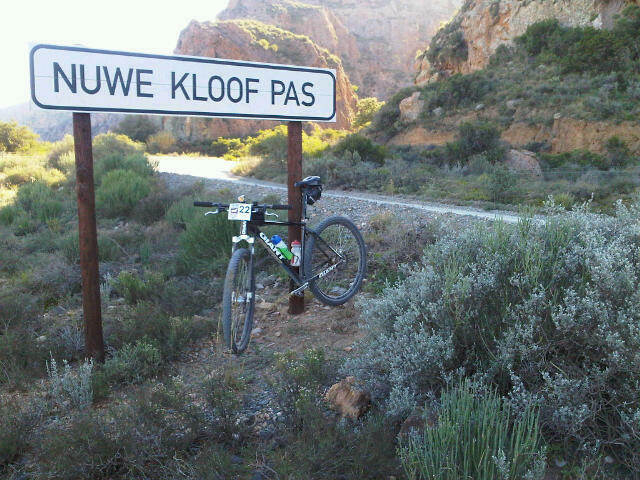 Got to Dam se Drif for brunch (unfortunately no 'death by chocolate' this time) and put a new chain on too. Put some music on and tackled the last 90km to Willowmore. 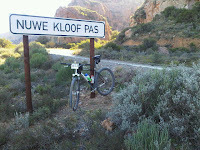 Legs felt better and ended up having a great ride, even managing to pedal up the whole of Nuwe Kloof pass, my small victory for the day. 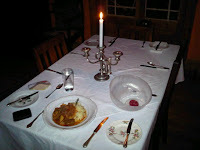 A candlelit dinner of lamb stew went down well. Rumours of another front on the way, so tomorrow may be a surprise! Did I read that right in the email news? Only 4 hours behind Alex?! Candlelight dinner for one? What a waste! 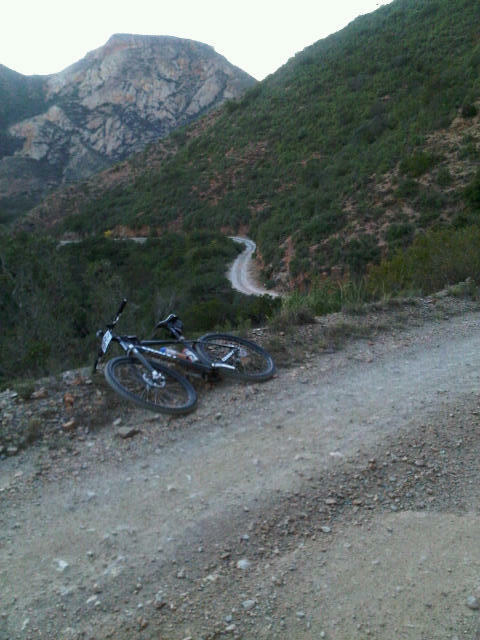 Impressive riding, well done!